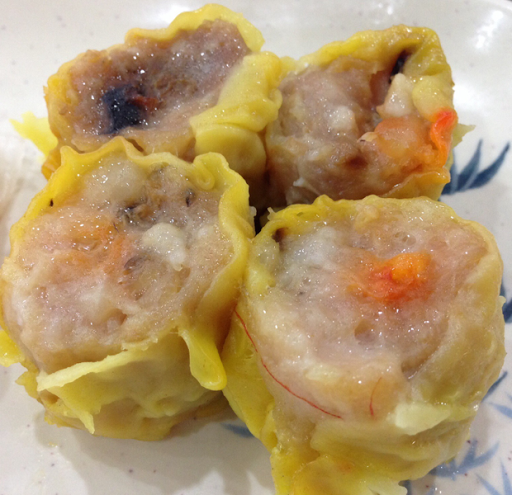 Lia's Food Journey: Houston! We Have A Problem! I have many, many problems but the most pressing one is the fact that I can't use the platform Blogsy to write my blog. It says whenever I try to upload that I have reached the photo limit. I was able to solve that problem before but I cannot remember how to do it again! I bought another app for the iPad but I have to get used to it. Blog Touch Pro. Another problem..... I might be losing my sense of taste! 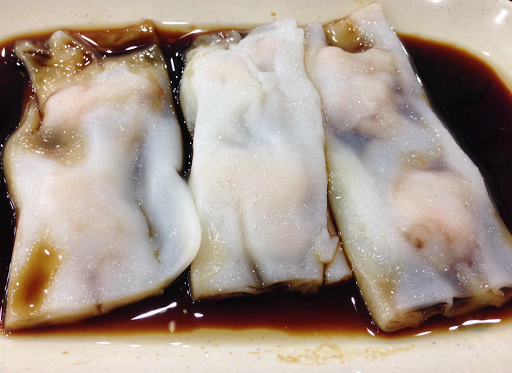 Ever since my hospital confinement, I have not used soy sauce, fish sauce nor other umami seasonings! 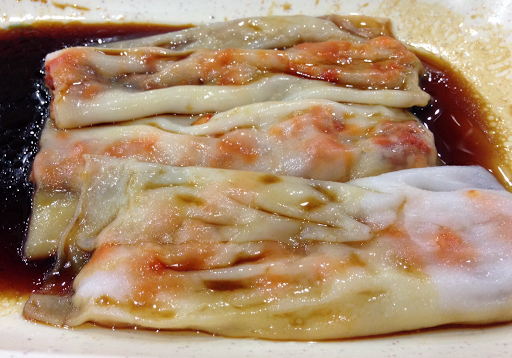 I have not eaten anything with preservatives. Or perhaps the symptoms are psychosomatic!?!?! I just learned that one of my friends lost 40% of her sense of taste!!! Do you think I am being a hypochondriac again? 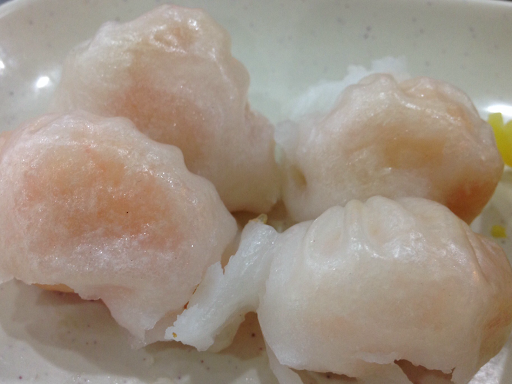 Why am I saying that I am losing my sense of taste? 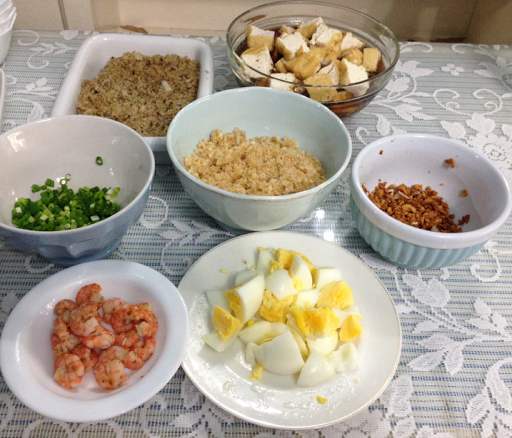 I cooked Pancit Palabok for my family last Saturday. I tasted it while cooking, it seemed ok. When my Kuya and brother in law started eating, they asked for patis! 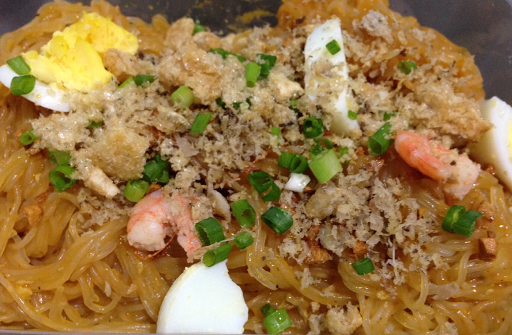 I tried the pancit and the taste was alright to me! 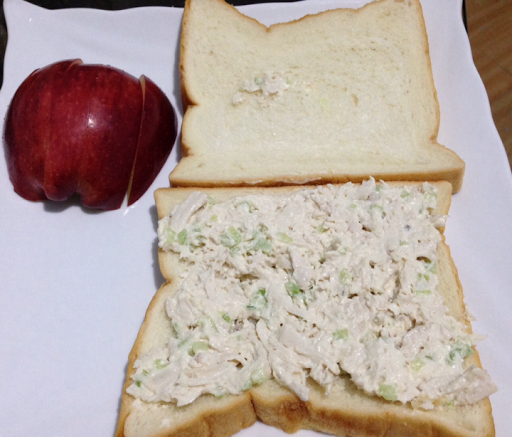 I only had a chicken sandwich for breakfast and half an apple. When I got home my sugar reading was 343!!!! Holy Cow!!! What is happening??? To think I have the maximum dose of oral medications and insulin! 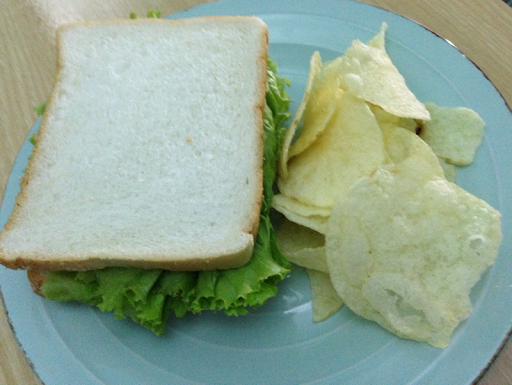 Merienda was chicken sandwich with plain salted potato chips. 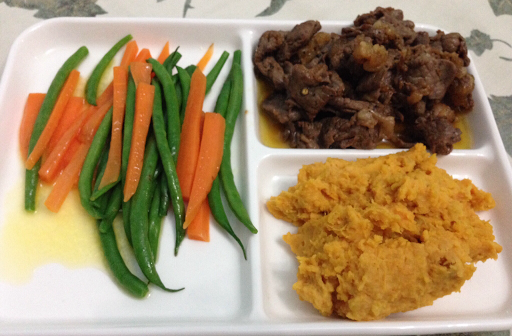 My dinner was just ribeye strips salpicao, mashed sweet potato and buttered French beans with carrots. I checked my sugar again 2 hours after dinner and it went down to 242 but that is still high! I am this close (my thumb and index finger are touching each other) to modifying the diet given to me by the nutritionist! I will try something else without totally removing carbs. Based on my sugar reading, when I eat sweet potato, the results are good. I hope to solve my problems soon!